On April 3, 2017, the FDA approved a new drug, deutetrabenazine, to treat HD-associated chorea. Deutetrabenazine (AUSTEDO™, see HD Insights, Vol. 7) is the first deuterated product approved by the FDA, and only the second product specifically approved for symptomatic treatment of HD. The pivotal clinical trial, designed and conducted by the Huntington Study Group (HSG) in partnership with Teva Pharmaceuticals, comprised a Phase III randomized, double-blind, placebo-controlled study of 90 ambulatory HD patients to assess the safety and efficacy of deutetrabenazine in reducing chorea. Deutetrabenazine can increase the risk of depression and suicidal thoughts in patients and is contraindicated in people who already suffer from these conditions. The most common adverse side effects observed in the clinical trial were somnolence, diarrhea, dry mouth, and fatigue. According to Dr. Testa, the molecular backbone of deutetrabenazine is the same as that of tetrabenazine, a drug already in use for HD-associated chorea; however, in deutetrabenazine, deuterium replaces a few key hydrogen atoms, which strengthens the bonds so the enzyme CYP2D6 breaks down the molecule more slowly. “Using deuterium reduces medication peaks in the bloodstream and in the brain,” said Dr. Testa, “therefore, the drug is easier to tolerate. Patients can also take it fewer times per day, but with the same potential impact on symptoms.” Dr. Testa explained that taking a drug fewer times per day can be important for HD patients. For example, some nursing homes and adult daycare centers will not administer doses in the middle of the day, and for home-based patients, it can be difficult to remember a midday dose. Ultimately, however, it is the patients and their quality of life that matter most. Dr. Beverly Davidson is a geneticist of the first rank, who has made groundbreaking advances in our genetic understanding of HD, and is working hard to develop new gene-based therapies for HD and other conditions. HD Insights recently spoke with Dr. Davidson about her ongoing research. The following is an edited transcript of the conversation. HD INSIGHTS: You have been studying HD and its genetics for nearly 20 years. Can you tell us how you got into the field? DAVIDSON: I recently woke up in the middle of the night thinking, “It has been 12 years since the publication of our knockdown studies.”1 I had no idea that it would take us this long to get to the clinic. How did I originally get into HD? I first started working in inborn errors of metabolism that affect the CNS. As a graduate student, I worked on Lesch-Nyhan syndrome. It always fascinated me how seemingly ambiguous mutations would induce such profound changes in the brain. I became fascinated by learning how mutations induce neuropathology, and developing ways to mitigate that neuropathology. I started early on in gene replacement strategies, always thinking in the back of my mind how we could apply some of the things we learn about getting genes into cells, and use this in some of the dominant neurodegenerative disorders. We started working on RNA interference (RNAi) shortly after the seminal discovery by Fire and Mello in the late 1990s.2 We really did not have much success in achieving very selective knockdown until Tom Tuschl’s paper came out some time later, showing us that the best way to accomplish selective knockdown was by using very small RNA fragments that were complementary to the gene you were trying to knock down. We started working on this with two collaborators at the time. We had developed the technology, but we needed an animal model, and in the laboratory next door to mine was Henry Paulson, who worked on spinocerebellar ataxia. Through close interactions with Dr. Paulson we came to know Dr. Harry Orr, Dr. Nancy Bonini, and others working in the polyglutamine repeat field. We collaborated with Drs. Orr and Paulson to test some of our ideas in cell and mouse models. That is how we came to work in polyglutamine repeat diseases. It was really by chance that we began to focus on these sorts of therapeutics for spinocerebellar ataxia, and then also HD, both of which are classical polyglutamine repeat disorders. Actually, my interest in HD goes back a bit further. My very close friend’s father had HD, and I recall seeing her grandmother cross the street when I was a child. I was with my dad, who was the local physician in our small community in south central Nebraska. I asked dad what was wrong with Shelly’s grandmother – she acted as if she could not walk very well. I was too young to know what a drunk looked like, and dad had told me that she had HD, and of course that meant nothing to me. But now we have come full circle. Many of Shelly’s family have succumbed to HD, so maybe I was destined from a very young age to work on this disease. HD INSIGHTS: That is a powerful story. You mentioned that when you first published your seminal paper looking at the knockdown of the HD gene 12 years ago, you did not think it would take so long to get new therapies to the clinic. Why has it taken so long? DAVIDSON: As with any new technology, in 2004-2005 we were using state-of-the-art methods for the time. As we began to learn more and more about the biology of the system that we were co-opting to perform RNAi in cells, we learned that there were better and safer ways to accomplish this. DAVIDSON: The next six to seven years were to perfect the system and understand the basic ingredients of what it was we were making, and understand the impact of what we were making on the cell. The reason for taking this stepwise, careful, methodical approach is that HD is already terrible, and the last thing I want to do is take something that is very debilitating and make it worse. HD INSIGHTS: Can you tell us about what is most exciting to you currently in terms of RNAi or antisense oligonucleotides (ASOs)? DAVIDSON: We focused early on gene-silencing strategies, the idea being that the delivery of the viral vector to the affected cell would provide a one-time treatment to the brain. Sometime after our studies were published, Frank Bennett, at what is now known as Ionis Pharmaceuticals, began a fantastic collaboration with Dr. Don Cleveland’s group. Initially, it was to study ASOs for an inherited form of amyotrophic lateral sclerosis. Then, they transitioned to testing the ASOs in animal models of HD. These were the same models that many of us were using to test therapies at the time. His data showed that just as in our RNAi experiments, he could positively impact the disease course with doses of the ASOs, and I think that really excited the community. Fortunately for Ionis, they have already been into the clinic with many of these molecules. Ionis is a large company that was well set to do the basic pharm tox that needs to be done to advance these molecules into therapies. Ionis has already started early phase-testing in HD patients, which is exciting. So, while we still remained poised to do our studies, they were already doing some safety studies in HD patients. It is an exciting moment for the gene-silencing community. HD INSIGHTS: Can you talk about the current status of your gene-silencing therapies and efforts? DAVIDSON: All the work that was developed while I was at the University of Iowa was licensed to Spark Therapeutics, and remains right now in IND-enabling studies. HD INSIGHTS: Tell us about the promise of these therapies for HD. DAVIDSON: Animal data suggest that you need not rid every cell of the mutated huntingtin gene, but to provide benefit, you need to hit a sufficient number of cells. The viral-vector delivered RNAi approach that we are taking, initially, is set to target the striatal region of the brain. This is in contrast to ASO therapies, in which the targeting is best achieved in the cortical structures. You could think of these as two complementary approaches to achieve widespread gene-silencing in the brain, in which the ASO could provide benefit to cortical structures, and the RNAi approach could provide benefit to sub-cortical structures. Our hope is that we can extend the period that HD patients live productively with the disease, significantly delaying its progression. HD INSIGHTS: In 2011, you published a paper showing the benefits of RNAi in a rhesus macaque model of HD.3 Can you tell us a little more about that study and what it suggests for humans? DAVIDSON: That was a study that we felt was really important not only for the RNAi community focusing on HD, but also for the ASO community. The study asked the simple question, can you reduce normal huntingtin in normal monkeys without deleterious effect? These were normal rhesus monkeys, not an HD model, but being a nonhuman primate, their brain closely approximated that of humans. Our data showed that you could partially reduce huntingtin expression, and it was not deleterious to the animal. That study, published by my group and Dr. Jodi McBride’s group at Oregon Health Sciences University, was the first to show that this approach was safe in a nonhuman primate. That was followed up by a longer-term study published by a group at Medtronic,4 in which they evaluated a very similar approach for six months, and came to the same conclusion as us. That suggested to us all that this could work, and really propelled us to move forward with a non – allele-specific silencing strategy as a potential treatment for HD patients. HD INSIGHTS: You mentioned the promise of RNA silencing treatments. Do you have any concerns about them? DAVIDSON: I think the first question is, how much gene-silencing do we need? We will not definitively know that until we start human trials, but we think we know what we need to know from a lot of work done in animal models. There is always concern because this is a new and unknown therapy, but we are very hopeful that it is going to be as promising as the animal models predict. HD INSIGHTS: Cures for neurological diseases are rare. Is it too soon to think that we could potentially cure HD? DAVIDSON: This is not a cure. A cure would be where we would ablate the mutant gene product in every cell in the body, and that it would not manifest in any way in any tissue. Our hope is that these approaches will allow HD patients and premanifest individuals to live their lives to the fullest, and lengthen their time with no or minimal symptoms. HD INSIGHTS: You have also done work in genetic conditions other than HD, and some of that work might even be ahead of where HD is. Could you tell us about some insights you have learned from other conditions? DAVIDSON: The other condition we work on is spinocerebellar ataxia type 1, which, like HD, is a polyglutamine repeat disorder. We have also done some limited preclinical work in spinocerebellar ataxia type 7. Spinocerebellar ataxia type 1 was the first model in which we tested the RNAi approach, and spinocerebellar ataxia type 7, a second model. We have done more extensive dosing studies in spinocerebellar ataxia type 1 mouse models, and also tested some reversal studies in those models. I would not say that they are ahead of the HD program, I would say they are pretty close together. We are also looking at the pathogenesis of HD and lysosomal storage diseases. We have some exciting data in HD, and this is really following close on the heels of some exciting work that has come out of Dr. Laura Ranum’s lab, where she has found that there are some funny transcripts that arise from the HD locus as a result of the CAG expansion.5 She sees transcripts in the nucleus that are not toxic in a normal-length allele, but in the setting of a disease-causing mutation, you can see these transcripts arising from that region, and if they are transported to the cytoplasm, they can be expressed as toxic proteins known as RAN translation products. I think understanding how those products contribute to disease will be very interesting, as well as understanding other global changes that go on in the HD brain. I wonder whether we can take advantage of that information to develop small molecule therapies. Will gene-silencing approaches be the be-all and end-all? I think the best approach might be a combination therapy where we tackle some of the downstream cellular impacts of mHTT and the mutant transcript, and in addition try to lower the insult through gene-silencing. HD INSIGHTS: Thank you very much, Dr. Davidson. We greatly appreciate it. DAVIDSON: I really thank HD Insights for the opportunity to let people know how we have reached where we are, and how excited we are to be so close to providing benefit to HD patients. Monteys AM, Ebanks SA, Keiser MS, Davidson BL. CRISPR/Cas9 Editing of the Mutant Huntingtin Allele In Vitro and In Vivo. Mol Ther. 2017 Jan 4;25(1):12-23. Lin L, Park JW, Ramachandran S, et al. Transcriptome sequencing reveals aberrant alternative splicing in Huntington’s disease. Hum Mol Genet. 2016 Aug 15;25(16):3454-3466. Lee JH, Tecedor L, Chen YH, et al. Reinstating aberrant mTORC1 activity in Huntington’s disease mice improves disease phenotypes. Neuron. 2015 Jan 21;85(2):303-315. Katz ML, Tecedor L, Chen Y, et al. AAV gene transfer delays disease onset in a TPP1-deficient canine model of the late infantile form of Batten disease. Sci Transl Med. 2015 Nov 11;7(313):313ra180-313ra180. Lee JH, Sowada MJ, Boudreau RL, et al. Rhes suppression enhances disease phenotypes in Huntington’s disease mice. J Huntington’s Dis. 2014;3(1):65-71. 1Harper SQ, Staber PD, He X, et al. RNA interference improves motor and neuropathological abnormalities in a Huntington’s disease mouse model. Proc Natl Acad Sci U S A. 2005 Apr 19;102(16):5820-5825. 2Fire A, Xu S, Montgomery MK, Kostas SA, Driver SE, Mello CC. Potent and specific genetic interference by double-stranded RNA in Caenorhabditis elegans. Nature. 1998 eb 19;391(6669):806-811. 3McBride JL, Pitzer MR, Boudreau RL, et al. Preclinical safety of RNAi-mediated HTT suppression in the Rhesus Macaque as a potential therapy for Huntington’s disease. Mol Ther. 2011 Dec;19(12):2152-2162. 4Grondin R, Kaytor MD, Ai Y, et al. Six-month partial suppression of Huntingtin is well tolerated in the adult rhesus striatum. Brain. 2012 Apr;135(4):1197-1209. 5Bañez-Coronel M, Ayhan F, Tarabochia Alex D, et al. RAN Translation in Huntington Disease. Neuron. 2015 Nov 18;88(4):667-677. The landscape of therapeutic development for genetic disease is rapidly evolving, and scientists are developing promising therapies to treat HD through gene-silencing therapies. HD Insights spoke with Dr. Amber Southwell about the status of gene-silencing therapies for HD, as well as her own work on a selective antisense oligonucleotide (ASO) therapy. What are gene-silencing therapies for HD? Gene-silencing therapies reduce or prevent the expression of mHTT. They usually interfere with transcription or translation of mutant RNA, or cause the degradation of mHTT RNA. What are the primary gene-silencing therapies under investigation? The majority of gene-silencing therapies under current investigation are antisense oligonucleotides (ASOs), RNAi (RNA interference)-based reagents, and CRISPR/Cas9 gene-editing systems. ASOs are short, synthetic DNA fragments that bind RNA through base pairing, and modulate its function. The majority of ASO drugs in development work through the degradative mechanism in which Ribonuclease H (RNase H) is recruited to recognize and cleave huntingtin transcripts. This process frees the ASO, enabling it to catalyze the degradation of multiple RNA molecules, effectively suppressing the gene product. With their diverse functionality, high target specificity, and suitability for direct CNS delivery through lumbar puncture ASOs are an excellent treatment option for HD. Currently, Ionis Pharmaceuticals has a nonselective ASO in a clinical trial. A nonselective ASO silences both wild-type and mHTT genes. RNAi-based reagents—especially microRNA-based reagents—are also being developed. These reagents use small RNAs to bind to HTT mRNA molecules in order to silence their activity. RNAi-based reagents are not delivered naked—in other words, without a carrier—as are ASOs. Instead, they are typically delivered by a viral carrier. Two RNAi reagents that have shown a lot of promise are very close to translation to the clinic, one with Sanofi Genzyme and one with uniQure B.V. (see HD Insights, Vol. 16). One of the groups working on RNAi is doing its preclinical studies in the sheep model of HD, because sheep have a very long spinal cord, and a larger brain than nonhuman primates. That group hopes to maximize the therapeutics distribution in a larger brain and spinal cord. In addition, a number of groups are developing gene-editing approaches to produce gene silencing, using the CRISPR/Cas 9 system. These approaches aim to completely inactivate the mutant copy of the gene. Currently, gene-editing strategies have low efficiency. Basically, you gene-edit some cells in culture, and then select for the cells in which the genes were actually edited. Next, you test the edited genes to make sure they did not receive an unwanted edit. Finally, you find that the cells have been changed in the way you want, and you expand those up to create your population. These studies are in very early preclinical stages, and there is a long way to go before efficiency and specificity will be high enough for use in the human brain. What does your most recent research focus on? We have been investigating a selective ASO that suppresses only mHTT and leaves wild type HTT expression intact. We ran a preclinical trial that will be published very soon and had excellent results. Basically, our ASO prevents the onset of HD in presymptomatic mice, and in symptomatic mice we saw recovery of motor and psychiatric phenotypes. Most importantly, we saw a complete rescue of cognitive phenotypes. We have shown that our ASO can not only prevent cognitive decline, but can also restore normal cognition when used post-symptom onset, meaning, after the mice have developed a cognitive deficit. We are very excited about this. Is your selective ASO better than Ionis’s nonselective ASO? Our selective ASO was co-developed with Ionis. I think the reason Ionis started with a nonselective ASO for its clinical trial was that it was the fastest way to get a therapy to all HD patients, with the idea that going back and developing selective therapies later would yield drugs that were safer for patients in the long term. I think that nonselective silencing is going to be preferable to not treating HD, but I also think that selective silencing is going to be better for the patient than nonselective silencing. In an effort to preserve wild-type HTT function, the nonselective ASO is being dosed to induce about 50 percent suppression in the cortex, and to have minimal activity in the basal ganglia. With a selective ASO, it may be possible to use a higher dose, to induce almost total mHTT suppression in the cortex, and have more activity in the basal ganglia. Is there competition among scientists to be the first to discover the best therapy? I think most people would agree with me that we are all on the same team. HD is the adversary. It is an incredibly complicated disease, and one that we need to come at from every angle we can. There is still so much work to do—after all, the gene was identified in 1993, and today, more than 20 years later, we are only just starting the very first huntingtin-lowering clinical trials. There is enough room for everyone’s work, and there is a lot more collaboration than competition in the field. Are the patients and families hopeful? Yes, they are really excited. They often contact me and ask, “When is this going to be available for me?” Sometimes I feel that a single email asks me to be a scientist, a clinician, and a genetic counselor. I have to tell people that it is a really long way between mice and men. A therapy must go through so many steps, so many points of potential failure, and once it gets to human trials, it can take years to prove its safety and efficacy. We are also hindered by our tools; for example, we do not have enough biomarkers to evaluate these therapies. The excitement is pushing the HD community to think that there is going to be something available for them in 5 to 10 years, but we have no idea if that is the case. Yes, we can at last successfully treat a mouse. Yes, we have really great preventative and restorative preclinical data. Yes, we finally have a huntingtin-lowering clinical trial that is targeting the root cause of HD—but unfortunately, none of this means there is an effective treatment just over the horizon. We simply do not know yet. 1Kordasiewicz HB, Stanek LM, Wancewicz EV, et al. Sustained Therapeutic Reversal of Huntington’s Disease by Transient Repression of Huntingtin Synthesis. Neuron. 2012;74(6):1031-1044. 2Hadaczek P, Stanek L, Ciesielska A, et al. Widespread AAV1- and AAV2-mediated transgene expression in the nonhuman primate brain: implications for Huntington’s disease. Mol There Methods Clin Dev.. 2016;3:16037. 3Miniarikova J, Zanella I, Huseinovic A, et al. Design, Characterization, and Lead Selection of Therapeutic miRNAs Targeting Huntingtin for Development of Gene Therapy for Huntington’s Disease. Mol Ther Nucleic Acids. 2016;5:e297. 4Zhang HS, Zeitler B, Froelich S, et al. 769.12. Engineered zinc finger transcriptional repressors selectively inhibit mutant huntingtin expression and reverse disease phenotypes in Huntington’s disease patient-derived neurons and in rodent models. [abstract]. Neuroscience 2014; November, 2014; Washington, DC. 5Yu MS, Johnson E, Chase K, McGowan S, et al. Safety of Striatal Infusion of siRNA in a Transgenic Huntington’s Disease Mouse Model. J Huntington’s Dis. 2015;4(3):219-229. 6Southwell AL, Skotte NH, Kordasiewicz HB, et al. In Vivo Evaluation of Candidate Allele-specific Mutant Huntingtin Gene Silencing Antisense Oligonucleotides. Mol Ther. 2014;22(12):2093-2106. 7WAVE Life Sciences 2017 Pipeline Update [press release]. January 06, 2017; http://www.businesswire.com/news/home/20170106005730/en/ Accessed April 29, 2017. 8Gagnon KT, Pendergraff HM, Deleavey GF, et al. Allele-Selective Inhibition of Mutant Huntingtin Expression with Antisense Oligonucleotides Targeting the Expanded CAG Repeat. Biochemistry. 2010;49(47):10166-10178. 9Monteys AM, Ebanks SA, Keiser MS, Davidson BL. CRISPR/Cas9 Editing of the Mutant Huntingtin Allele In Vitro and In Vivo. Mol Ther. 2017;25(1):12-23. 10Shin JW, Kim K-H, Chao MJ, et al. Permanent inactivation of Huntington’s disease mutation by personalized allele-specific CRISPR/Cas9. Hum Mol Genet. 2016;25(20):4566-4576. 11Kolli N, Lu M, Maiti P, Rossignol J, Dunbar GL. CRISPR-Cas9 Mediated Gene-Silencing of the Mutant Huntingtin Gene in an In Vitro Model of Huntington’s Disease. Int J Mol Sci. 2017;18(4). 12Xu X, Tay Y, Sim B, et al. Reversal of Phenotypic Abnormalities by CRISPR/Cas9-Mediated Gene Correction in Huntington Disease Patient-Derived Induced Pluripotent Stem Cells. Stem Cell Reports. 2017;8(3):619-633. Little is known formally about the exact number of HD patients and individuals at risk in Brazil, but efforts are underway to change this. 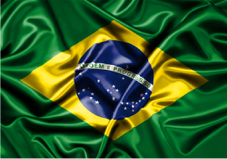 In 1997, Dr. Monica Santoro Haddad helped to start the Associação Brasil Huntington (ABH), or the Brazil Huntington Association, in São Paulo, Brazil, where she serves as medical advisor. She currently serves on the Board of Directors of the Brazilian Academy of Neurology as a member of the Deliberative Council, and is an active member of the American Academy of Neurology (USA). In her 29-year career as a Movement Disorders specialist, Dr. Haddad has attended to approximately 500 HD-affected families at outpatient Movement Disorders clinics in São Paulo’s largest public hospitals, namely Hospital das Clínicas da Faculdade de Medicina da Universidade de São Paulo, and Hospital Sírio-Libanês. In addition, she has followed more than 70 families in her private practice. The ABH is a voluntary and non-profit national association whose purpose is to provide support and guidance to HD-affected families, to make the disease better known, to stimulate research, and to create specialized service centers in the different regions of Brazil. ABH receives contributions from members and donations. ABH is affiliated with the International Huntington Association, which provides guidance and information on the progress of scientific research in the HD field. One of the hopes for the treatment of neurodegenerative diseases is advanced stem cell therapy products. Mesenchymal stem cells (MSCs), which can be derived from adult body tissues including bone marrow, fat, and brain, offer great therapeutic promise for a diverse range of medical applications. MSCs are responsible for tissue regeneration throughout life, and this function is mediated by self-renewal and the ability to produce diverse types of differentiated cells. These therapies are used for their dual role. First, they stimulate local cell survival, inhibit inflammation, and stimulate brain tissue regeneration through paracrine action, leading to production of new neurons from both native and likely donor stem cells. Second, they express neurotrophic factors, such as brain-derived neurotrophic factors (BDNF), which plays a key role in the survival and activity of the neurons that die in HD. 1de Almeida FM, Marques SA, Ramalho Bdos S, Rodrigues RF, Cadilhe DV, Furtado D, Kerkis I, Pereira LV, Rehen SK, Martinez AM. Human dental pulp cells: a new source of cell therapy in a mouse model of compressive spinal cord injury. J Neurotrauma. 2011 Sep;28(9):1939-49. 2Haddad MS, Wenceslau CV, Pompeia C, Kerkis I. Cell-based technologies for Huntington’s disease. Dementia & Neuropsychologia. 2016;10:287-295. 3Kerkis I, Haddad MS, Valverde CW, Glosman S. Neural and mesenchymal stem cells in animal models of Huntington’s disease: past experiences and future challenges. Stem Cell Res Ther. 2015 Dec 14;6:232. 4Wenceslau CV, Kerkis I, Pompeia C, Haddad MS. Pluripotent Stem Cells to Model and Treat Huntington’s Disease. In: Tunalı NE, ed. Huntington’s Disease – Molecular Pathogenesis and Current Models. Rijeka: InTech; 2017:Ch. 05. 5Safety Evaluation of Cellavita HD Administered Intravenously in Participants With Huntington’s Disease (SAVE-DH). https://clinicaltrials.gov/ct2/show/NCT02728115. Accessed April 15, 2017. Welcome to the 17th edition of HD Insights, timed for release at the 21st International Congress of Parkinson Disease and Movement Disorders in Vancouver, BC. We continue our mission to promote, disseminate, and facilitate HD research with content that is valuable and informative to the global community of HD researchers. In this edition, we continue our focus on gene-targeting therapies for HD, and explore other developments in HD therapeutics. We begin with an article about the recent FDA approval of Teva’s deutetrabenazine (AUSTEDO™). Dr. Lise Munsie investigates recent publications on gene-targeted therapies in her “Research Round-up” series. We talk with Dr. Beverly Davidson about her many contributions to gene-silencing therapies for HD and other neurological diseases, and explore the latest in game-changing gene-silencing therapies with Dr. Amber Southwell. 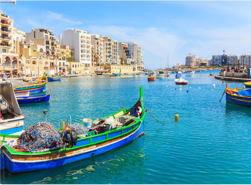 Dr. Nicholas Caron reports on the highlights of the CHDI meeting in Malta in April. Dr. Irina Kerkis describes the latest in HD research in Brazil, especially research on stem-cell-based therapies developed with Dr. Monica Haddad. 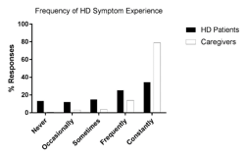 Ms. Jennifer Simpson and Dr. George Yohrling from the HDSA describe the findings of their survey exploring the preferences and priorities of the HD community for HD research, a highlight from the Journal of Huntington’s Disease. Finally, we continue to update the HD community on upcoming, ongoing, and recently completed clinical trials. 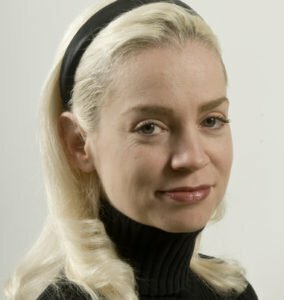 This edition marks the last edition of Meredith Achey’s tenure as Deputy Editor. Through boundless energy and dedication, Meredith has helped shape every aspect of HD Insights for the last four years. Only the increasing demands of medical school took her away from her work at HD Insights, and we wish her all the best. We welcome incoming Deputy Editor Sara LaJeunesse to the HD Insights team. Sara comes to us with a wealth of writing, editing, and publishing experience, and we are excited to continue to grow with her leadership. If you or your colleagues would like a free electronic subscription to HD Insights, please visit www.HDInsights.org and complete the subscription form. We welcome your job postings, scholarship announcements, and other opportunities you would like to share with the HD community. 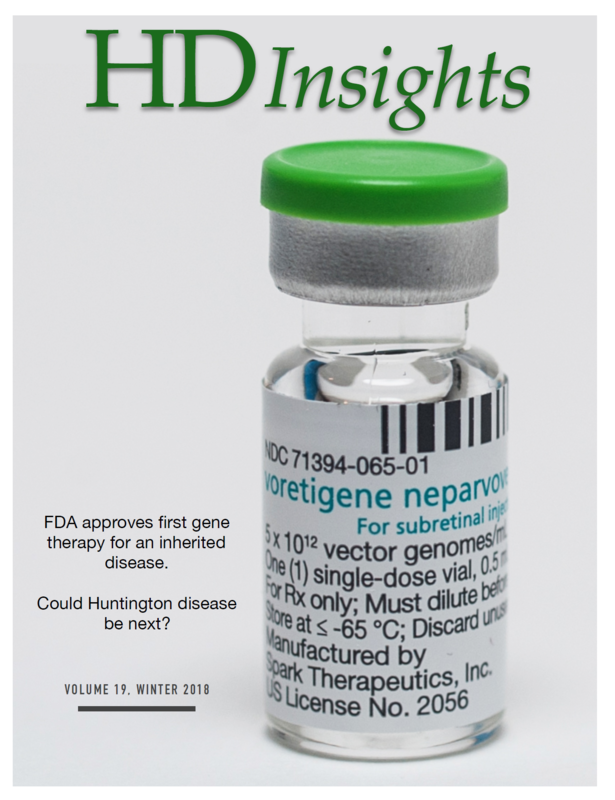 If you have an opportunity you would like to share with nearly 3,000 HD researchers and clinicians, or would like to give us feedback, comments, or contributions, please email us at editor@hdinsights.org. Thank you.